The Mojonnier brand will celebrate its 100th anniversary in 2019. It was founded as the Mojonnier Bros. Co. in Chicago in 1919 by brothers Timothy and Julius Mojonnier, both dairy chemists who graduated from the University of Illinois and began their careers with the PET Milk Co. They developed the Mojonnier Dairy Tester, a process for ensuring the quality and safety of milk, as well as fluid milk processing and dairy conveying systems. They were relentless innovators, constantly developing more accurate methods and equipment to help the beverage industry. 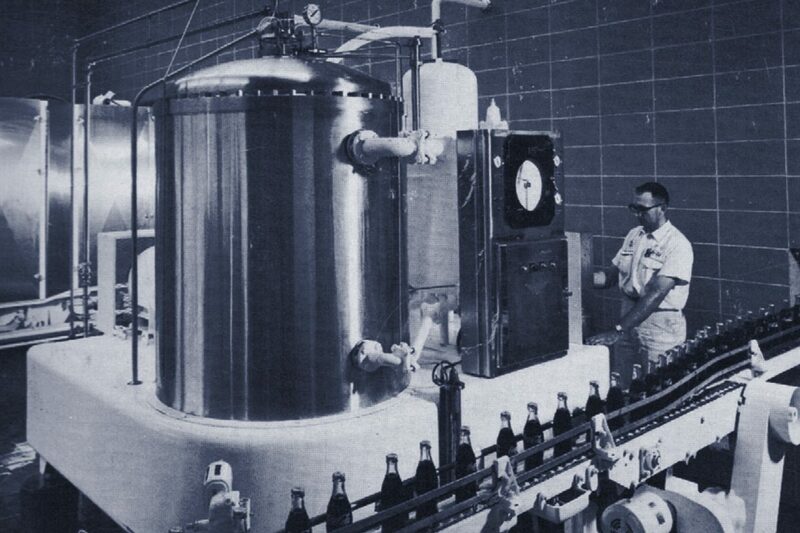 They introduced the Carbo-Cooler® equipment line in 1940, specifically for the soft drink processing industry. Mojonnier was privately held until 1980 when it was sold to FMC Corp., the first in a succession of corporate owners. In 2015, it was purchased from Sidel Group by Mojonnier Ltd., a group with extensive experience in the beverage industry, including experience at Mojonnier, and ties to the company founders. A look at past Mojonnier® ads and equipment.